Gary Harbin is native to Kansas growing up in Salina. He attended Salina Central High School, which was the only public high school in Salina at that time. Following Orthopedic training, Dr. Harbin took extra training in microvascular and for a number of years was one of the only people in Kansas performing microvascular limb salvage procedures in the state. He has been team physician for Kansas Wesleyan University since 1979. 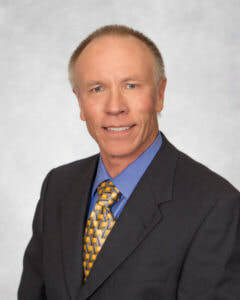 He has done other medical research with the high schools, K-State Salina, KU and the Kansas City Chiefs. He enjoys continuing to do research and publishes in orthopedic and medical journals on a regular basis.